Eminox explains how type approval legislation and the resultant testing on automotive components has affected the production of CV Diesel Particulate Filters. Before vehicles can be put on sale in the UK and Europe, they must pass the EC Whole Vehicle Type Approval legislation. The testing is carried out at a European facility ahead of the manufacturer obtaining certification for the vehicle, its components and its manufacturing facilities. Passing these tests demonstrates that the vehicles and components meet or exceed all required safety and environmental limits. This legislation reduces trade barriers and keeps competition fair by creating a single approval for the whole of the European market to comply with, which means that a manufacturer does not need to obtain separate approvals for all the countries it wishes to sell in. Replacement components that are deemed critical for the health and safety of pedestrians, as well as those within the vehicle, must also be approved using the same test procedures used on the vehicle, in order to be available for sale. This ensures that all parts fitted to the vehicle, regardless of who has manufactured them, fit and function within an acceptable margin compared to the parts fitted on the vehicle production line. Parts that gain type approval certification can be fitted to a vehicle without impacting any outstanding manufacturer’s warranty under the EC Block Exemption Regulation (BER), which was created to keep repair costs down and allow competition in the marketplace, as well as empower the vehicle owner to choose where to have their vehicle repaired and not feel tied to the OEM dealer network. Eminox has built a reputation as a leader in the supply of emissions after- treatment systems. It designs and manufactures systems for many vehicle manufacturers and has supported retrofit projects globally; reducing emissions from older vehicles to ensure they meet newer world standards. The company has made significant investments during the last four years to create a range of replacement Diesel Particulate Filters (DPFs) for Euro VI trucks that fully comply with type approval legislation and operate to tight emissions standards. It was the first company to launch an aftermarket product range and was introduced at this year’s Automechanika Birmingham. Eminox’s first DPFs are now available following successful type approval testing and fit Renault and Volvo trucks fitted with 11, 13 and 16L engines, and DAF trucks fitted with 11 and 13L engines. The company has an ambitious development plan that will see further DPFs approved and available to the independent repair network over the course of 2019. 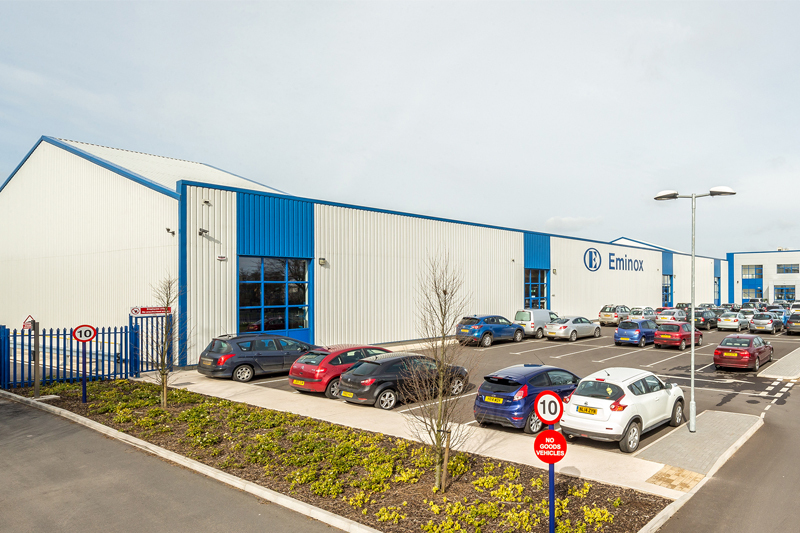 Trucks manufactured by Mercedes, Scania and MAN will be supported by the DPFs, which are manufactured by Eminox at its headquarters in Gainsborough, England. The DPF is a removable, serviceable part that should be checked during servicing to be sure that it continues to operate correctly and that there is no danger of potential failure. All Euro VI after-treatment systems containing a DPF have an access cover. Once this cover is removed, the DPF can be pulled out. It is important the filter is checked to avoid the warning light illuminating and potentially immobilising the vehicle. 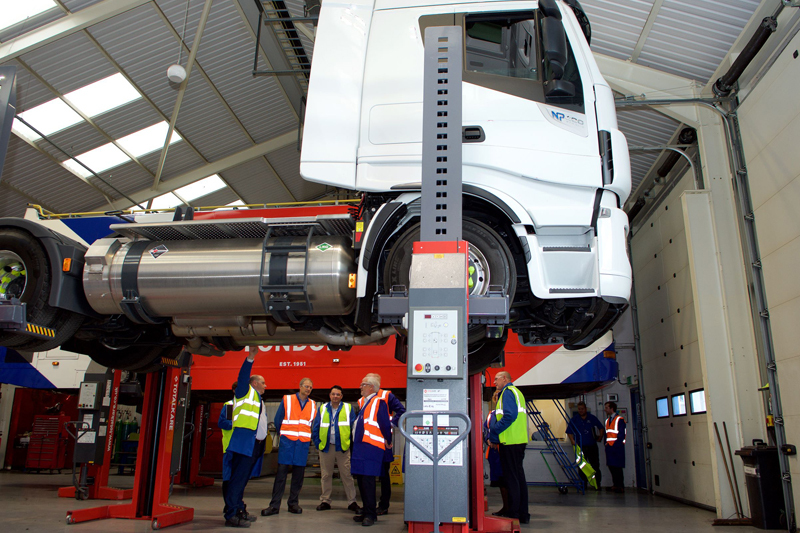 The DVSA is increasing the number of roadside checks it makes, ensuring Euro VI vehicles haven’t had the DPF removed and emissions are still within set limits. Maintaining a DPF is, therefore, essential. Eminox DPFs are offered through the company’s exchange programme, meaning a replacement DPF is available at a cost similar to cleaning the DPF, but with same- day delivery. Unlike DPF cleaning, Eminox’s DPFs are supplied with all the clamps and gaskets required for fast fitment and a two-year/200,000km warranty. The company’s DPFs are distributed in the UK through Digraph Transport Supplies. “We are proud to partner with Digraph, they have an impressive growth plan that will support the distribution of our DPFs across the UK, ensuring that each truck’s downtime is kept to an absolute minimum,” concluded Neil Koston.